Recognized as both a “Top Producing Agent” and “Best Agent” by the Washingtonian magazine, 2015-2018. "Chris is experienced, courteous, dedicated and professional. He knows the DMV area exceedingly well, and went the extra mile for me during the home buying process, offering me rides and following up promptly to answer questions or request documents. As a first time homebuyer, he helped me get a price 6.5% less than the original list price and quite a bit below the appraised value." - David W.
"Chris Sanders was excellent throughout the home buying process. He listened to my purchase criteria, located the exact property I was looking for and helped me submit a compelling offer expeditiously. I will recommend Chris to any of my friends or colleagues looking to purchase a home in the DC area." - Ryan R.
"Chris helped to line up everything to time the closing of the condo with the closing for our new house. He was available all along the way to answer questions and take our phone calls. We would recommend Chris to our family and friends." - Brian and Sarah L.
"With other family members, I purchased a condo in Alexandria. Our agent, Christopher Sanders, set out to meet our targeted needs, patiently keeping us abreast of developments in the market and taking us to viewings until we found something right. He calmly helped us negotiate a tricky bidding process, and settled our nerves during the ordeal that leads to closing. Without hesitation, I would recommend him to anyone looking for real estate in the DC metropolitan area." - Christine C.
"I was a very uninformed first time home buyer and Chris was exceedingly patient and helpful during the whole process. Would highly recommend him to any one looking to buy in the DC area." - Jing Jing Z.
Chris is a DC/MD/VA residential Real Estate expert with over 15 years of experience working with first-time buyers, seasoned homeowners and everything in between. 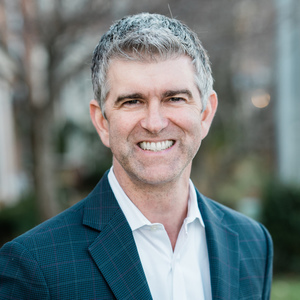 Whether patiently teaching novices the lay of the land or diligently collaborating with real estate junkies, Chris’ attention to detail has earned him a business that is 100% referral-based. With 120+ elated clients taking the time to give feedback, Chris has achieved a perfect, 5 Star Zillow rating, as well as, 5 stars on RealSatisfied.com. He has also been recognized as both a “Top Producing Agent” and “Best Agent” by the Washingtonian magazine. With almost 300 closed sides and over $200 million in sales, Chris has consistently been in the Top 1%, nationwide. Focusing his service on D.C. plus Arlington, Fairfax, and Montgomery counties enables him to be a Real Estate technician in a local but broad market. Those who have worked with him note Chris’ professionalism, honesty and all-around good nature. Buying or selling a home should be an exciting time; Chris prides himself on taking the stress out of the process. Chris' free time is spent with his daughters, Ragon and Lia, and his Rottweiler Marley. With a little time left over, he's known to play a quick round of golf with friends. Do reach out to Chris for "All Things Real Estate."